The Year 9 preferences information evening will be held on Thursday 24th January 2019 6.00-7.00pm. The presentation to parents/carers about the Year 9 preferences and the preferences booklet will be uploaded nearer the time. There is useful information on the CVC Careers website, where you will find careers information. Please follow this link to the Year 10 Careers website. Design and technology is a practical and design based subject taught by specialist teachers within two well equipped workshops, a graphics studio, an ICT suite and food technology room. A number of smaller teaching spaces provide access to textiles, electronics and CAD/CAM. Students learn basic skills in a number of key areas including materials, textiles, food, CAD/CAM, control, graphics and product design. Research, designing, planning, making and evaluating underpin the key skills being studied. Students in year 9 will explore Dance as both performers and choreographers. They will experience a variety of projects to facilitate their learning, including both group and solo performance pieces and choreography. A range of Dance styles and genres will be introduced, including contemporary, commercial and musical theatre. The specific projects and music selections will vary yearly to reflect current themes and the strengths of the students in the group. 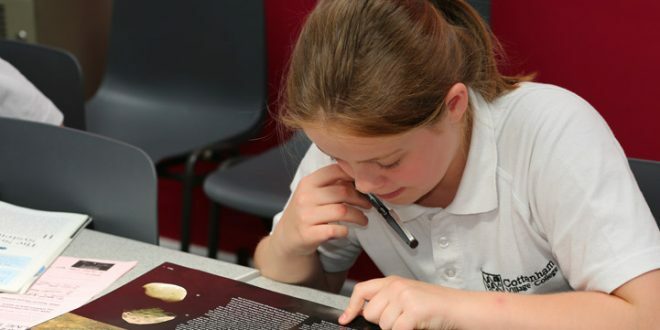 English at Cottenham is an exciting subject taught by experienced and enthusiastic teachers with a range of specialisms (including drama, spoken language and medieval literatures), all of which are used to inform the diverse curriculum enjoyed by our students. We challenge our students to be their best by guiding them through a range of taught units of work that develop an extensive range of skills. Empathy is encouraged through our reading of the class novel; creativity is cultivated through descriptive and narrative writing tasks; diversity is delved into through our explorations of Victorian literature. There is something in our curriculum to entice everyone! Students’ learning also has vital real-world application: it is practical, useful and, most importantly, interesting. Our lessons acknowledge the importance of oral communication, be it speaking independently in front of a group of people, leading a group in discussion or working co-operatively as part of a team. Our English programme embraces the disciplines of Reading, Writing, Speaking and Listening. We recognise each of these disciplines as a fundamental element in achieving our over-arching aim: teaching students to communicate in a variety of situations for a range of purposes. Every unit of work purposefully incorporates opportunities to develop skills in each of these disciplines. Throughout Key Stages 3 and 4, lessons will build on students’ own experiences and engage with recent events to investigate places at all scales from the personal to the global. History is a highly controversial subject in schools with great debate over what content should be taught, whether the emphasis should be on ‘facts’ or ‘skills’ and what the nature of the relationship between history and national identity is or might be. Sadly, many newspapers and government ministers, past and present, treat these debates in a simplistic and superficial manner, and it is rarely possible to garner what happens in the classroom from a newspaper article or a political speech. History at Cottenham has several principles which we use to help us design our Key Stage 3 curriculum. Enquiry based history– all of our students study a sequence of lessons addressing an overarching enquiry question. The knowledge we teach is used to answer these questions. Broad chronological range– students study a broad span of history from the middle ages to the present day. British, European and world history– learning our country’s history is important. So too is an ability to situate this knowledge in a wider European and global context. History is for everyone– knowledge of the past is an entitlement for all students, regardless of academic ability. To become fluent in using basic algebraic manipulation skills. The focus for year 9 is on laying a solid foundation for GCSE AQA 8300 course. The first module lasts for the whole of the autumn term and introduces new mathematical topics as well as some critically important ideas such as proof. The modules that occupy the spring and summer terms contain most of the new GCSE content that year 9 will not have studied in years 7 and 8, as well as trying to improve basic algebraic skills to support the greater emphasis on algebra at GCSE level. Students also focus on improving their mathematical communication skills, both by using formal notation for geometry, set notation and sequences, and by ensuring that they show clearly the methods they use to arrive at their answers. Students are placed in classes according to their achievements in year 8. They are regularly re-assessed throughout the year. They record their performances on comprehensive analysis sheets which are used to inform any necessary intervention work. The tier of study for years 10 and 11 will be determined by the year 9 assessments, with the terminal assessment being of particular importance. Students are encouraged to work hard whilst continuing to develop the more complex skills and tactics and learning new techniques and concepts which will continue to prepare them for leading a healthy and active lifestyle now and in the future. The areas that we focus on with regards to the National Curriculum are set out below and the timetable of activities are available here. In Year 9 pupils continue to focus on their scientific skills, building confidence in areas such as graph drawing using GCSE criteria to prepare pupils for their KS4 courses. Pupils continue to broaden their understanding of key concepts in Chemistry, Physics and Biology in the Autumn Term and will start the KS4 curriculum in the Spring Term. At Key Stage 4 we follow the Edexcel Certificate (IGCSE) in Sciences as well as OCR Gateway B Core and Additional GCSE Science courses and also offer the OCR Entry Level Science course for some pupils. Initially pupils will be taught content that overlaps in all programmes of study for the KS4 curriculum. Pupils and parents will be involved in the discussions for the best course at Key Stage 4 during the Year 9 options process.